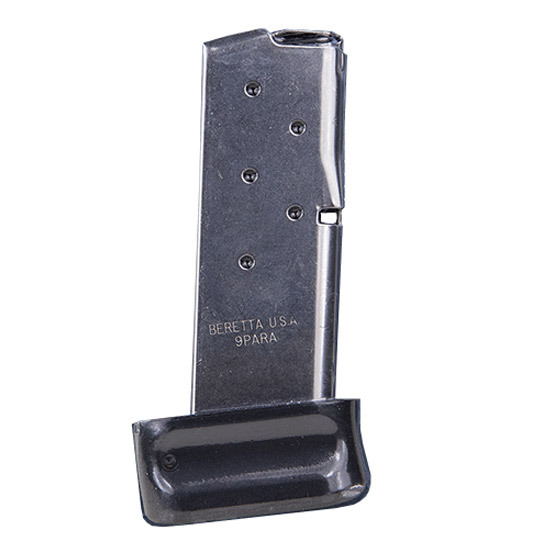 These magazines fit Berettas BU9 Nano pocket pistol and offer a 6 or 8round capacity. Designed for the rigors of concealed carry the Nanos magazine and follower are constructed entirely of polished stainless steel. The polymer floorplate completely covers the bottom of the Nanos gripframe to reduce the introduction of foreign contaminants and create a uniform grip.